A brand spanking new review as the previous review was from when I was just starting out with the whole how to write a review. Looking back my first review was bloody atrocious. This is my third re-read due to the sequel being released and I can say straight away that I will never tire of this book. I’m rereading it because book two is out. Makenna James aka MJ has had one hell of a day to top it off the elevator nearly closes in front of her but a Good Samaritan holds the doors open for her. Cayden Grayson day hasn’t been spectacular either but when the redhead walks in it begins to perk up a bit that is until the electricity cuts and they are left in the dark. Cayden suffers from claustrophobia and he is trying not to freak out. Luckily Makenna’s voice comes him and they get to know one another. They have great chemistry and back and forth banter. Cayden is a bit of a loner. He doesn’t have a lot of friends but he has experienced a great loss which he still really hasn’t overcome and he has tried to fill that void with work and work. Through the darkness everything is more intense and they become intimate with one another. They are complete opposites but they work together as a couple. They both want to see one another after they get out of the elevator although at the beginning it is awkward. I love the concept of this book. Two strangers meet in an elevator said elevator stops and there is a blackout. Cloaked in complete darkness is one way to really get to know someone without taking in the looks. It is what’s inside that really counts. 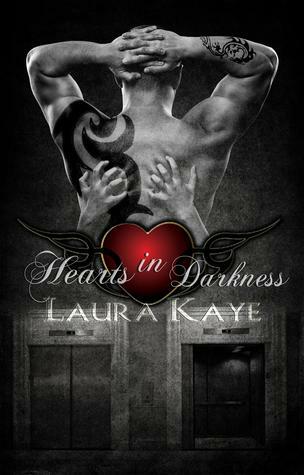 So finally after so many years of Ms. Kaye’s fans demanding more we get book 2.